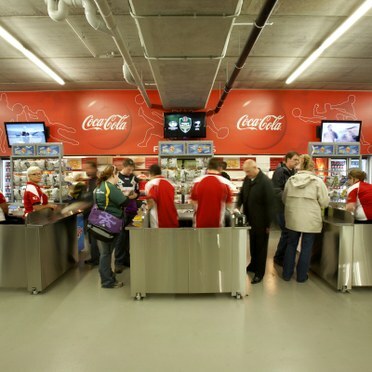 The beam distribution and throw are exceptional while the variable lamp holder position enables a choice of concentrated distributions to suit the location within the stadium structure. The specific optical designs make long-range floodlighting a lot easier and more precise, giving great results for sport and television broadcasting while minimising glare for the spectators and players. 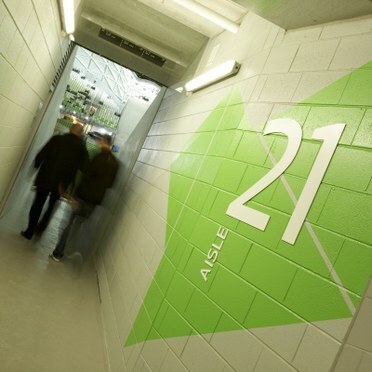 Careful selection of high performance optics and good lighting scheme design mean the light spill from the stadium is minimal, which in turn minimises waste energy consumption. Looking for all the world like a series of giant bubbles, this geodesic domed structure (called AAMI Park) is Melbourne's premier rectangular pitch stadium. 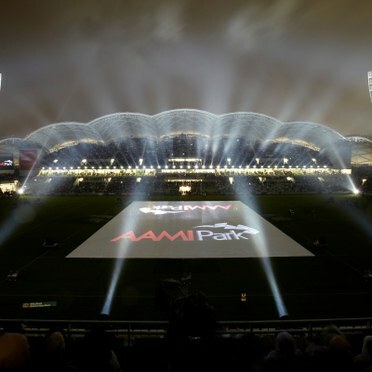 The difficult job of floodlighting it was handled by Thorn Australia using Mundial projectors. These incredibly powerful 2kW metal halide floodlights provide high quality task illumination meeting the exacting requirements of international/national sports and television broadcasting (2,000 lux on the vertical and 2,600 lux average on the horizontal). Their advantage is that the beam throw is exceptional and the variable lamp holder position enables a choice of concentrated distributions. This makes long-range floodlighting a lot easier and more precise, giving good uniformity and ensuring that glare and 'obtrusive light is kept to a minimum. The 30,050-seater outdoor stadium will be utilised for a range of domestic and international Rugby Union, Rugby League, Soccer and American Football matches. The facility includes an elite training centre with gymnasium, a 25m lap pool, plus office and medical facilities. The inspiration behind the project dates back to 2005, when Thorn worked with NDYLIGHT and Cox Architects to deliver conceptual designs for the pitch lighting locations and interior facilities, which ranged from downlights to linear fluorescent luminaires. 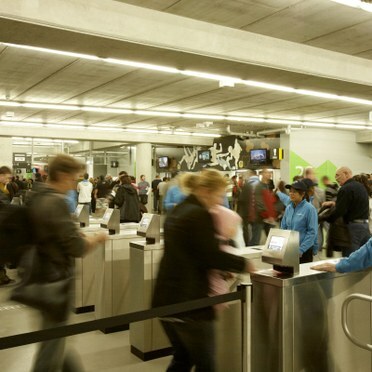 Thorn then supported NDYLIGHT with technical information and products for the back and public areas. A critical element for the project was to develop a sports lighting system that blended with the desired architectural form of the stadium without compromising performance. The Mundial flood was selected as the most suitable, and the lighting scheme required 344 of these projectors in various beam distributions. They are mounted on four corner towers and along the roof structure. 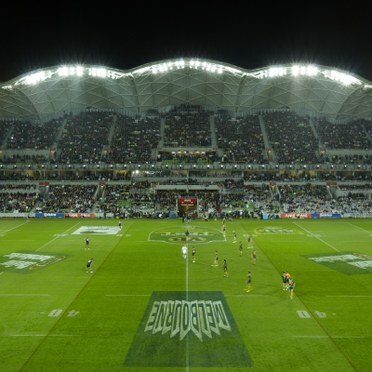 Securing the contract was a major achievement for Thorn Australia, and was helped by adhering to the company's PEC (Performance, Efficiency and Comfort) philosophy, the use of a quality sports floodlighting luminaire and good design values / standards.